The First National Bank of Orwell offers a unique blend of modern banking convenience and traditional, personal service in a historic environment. 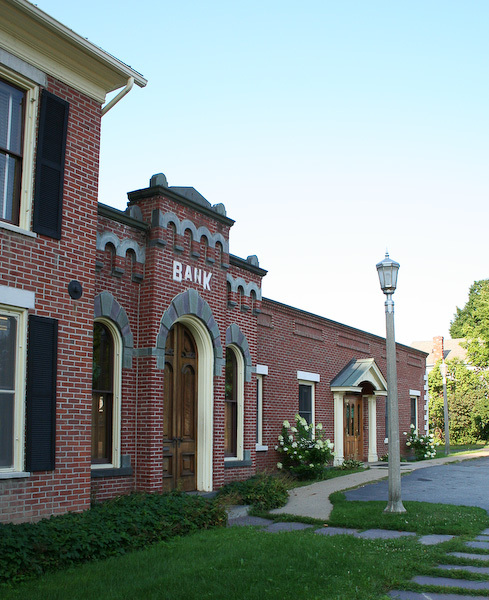 As the oldest national bank in New England, and one of the oldest in the country, we have been serving the needs of southern Addison County and northern Rutland County, Vermont since 1863. We keep our business style simple, providing basic financial services that include Basic and 50+ Checking and Passbook Savings, both accessible with our free Independence Visa Debit Card, as well as Christmas Clubs, Certificates of Deposit, IRAs, Auto Loans, Personal Loans, Business and Agricultural Loans, and Home Mortgages. 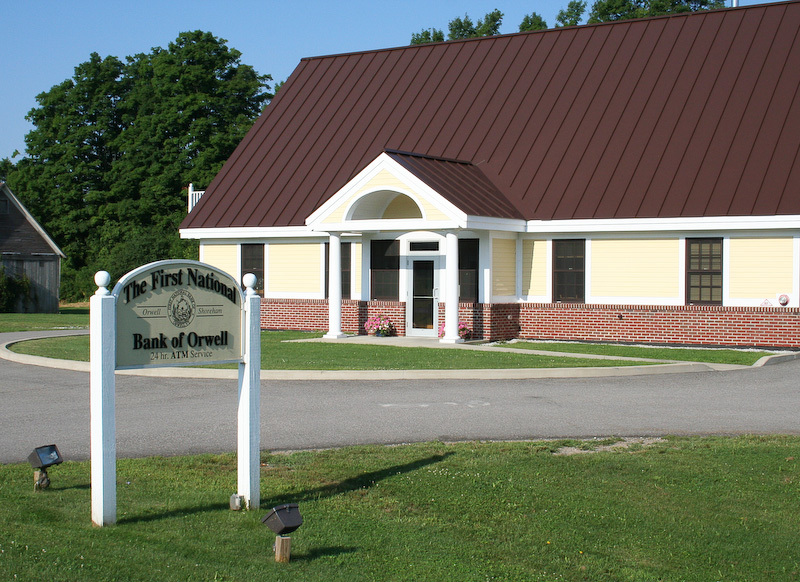 We offer two full-service locations, with our historic main office on Main Street in the village of Orwell and a branch conveniently located at the corner of Routes 22A and 74 in Shoreham.